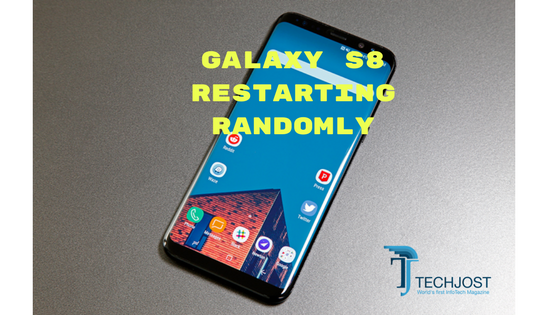 Samsung Galaxy S8 users reported random restart problems on Friday – News emerged that many new Samsung S8 models are restarting without any obvious reason. This isn’t the first Samsung S8 problems surfaced on Internet. Before, some users have reported a red tinted display which was later fixed by Samsung through a software update. The problem was reported by hundreds of new Galaxy S8 users on Samsung’s official community page. The user who first reported the issue said; His Sprint carrier Galaxy S8 has restarted seven times in first 10 hours after opening the box. He explained while he was using apps like Camera or Samsung themes the apps stopped working and his Galaxy S8 restarts automatically. He asked for the opinion of his fellow Samsung users – Which instantly revealed that, there are hundreds users currently facing the same issue. One user also wrote on community page that, even though he is not using any applications his Galaxy S8 is still randomly restarting. There are many solutions shared on the platform; which may help you in solving this issue – But, none of them are a permanent fix. It is clear that Galaxy S8 software concerns are now becoming reality. Even though the hardware part of Galaxy S8 is excellent but, the software aspects are still uncertain. If you are facing the similar issue the first thing you should do is Remove MicroSD card from your Galaxy S8. But, even after removal of card some users have reported their phones behavior remains unchanged. If you have installed some apps in your MicroSD card transfer them to the phone memory it may be helpful in solving the issues. So far there is no permanent solution has been offered but, these two may help you for a while until a permanent solution or software update is released. Most of the users who are facing reboot problems have just bought their Galaxy S8 models just a day ago. Samsung hasn’t responding yet about how they are planning to fix the latest reboot issue of its flagship Galaxy S8. I am in the middle East and I have purchased the phone last weekend(s8). Everything was fine until I have installed everything including the previous data from my old phone;mind you I don’t have a SD card . The phone was slowing down due to installing the latest software from Android and all the installed apps. Then it froze on while updating Android at 55%. I restarted the phone and continued the installation…afterwards the phone started rebooting like crazy none stop to the point I was not able to uninstall anything. I have done everything including factory reset many times. The phone keeps restarting. I have returned the phone and got a full refund…sadly it is a shame because it is a gorgeous phone. I thought I was the only one with this issue….shame really..I have lost faith in Samsung.